Typecasting chronicles the emergence of the "science of first impressions” and reveals how this framework continues to shape how we see the world and to inform our most fundamental and unconscious judgments of beauty, humanity, and degeneracy. 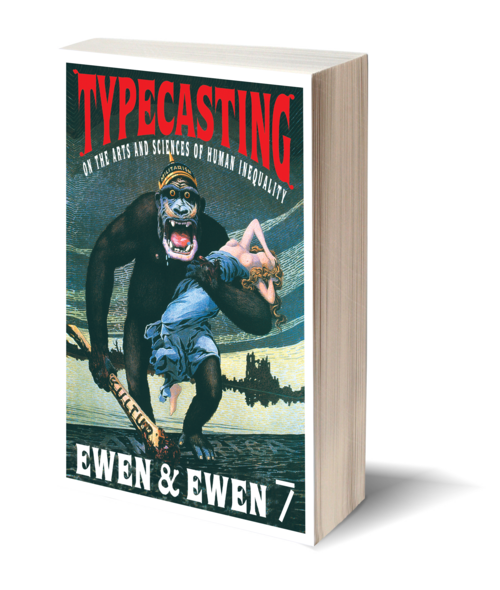 In this groundbreaking exploration of the growth of stereotyping against the backdrop of the rise of modern society, authors Ewen & Ewen demonstrate typecasting as a persistent cultural practice. Drawing on fields as diverse as history, pop culture, racial science, and film, and including over one hundred images, many published here for the first time, the authors present a vivid portrait of stereotyping as it was forged by colonialism, industrialization, mass media, urban life, and the global economy.